This tournament is dedicated in loving memory of Les Regier, who passed away from cancer Feb. 10, 2018. 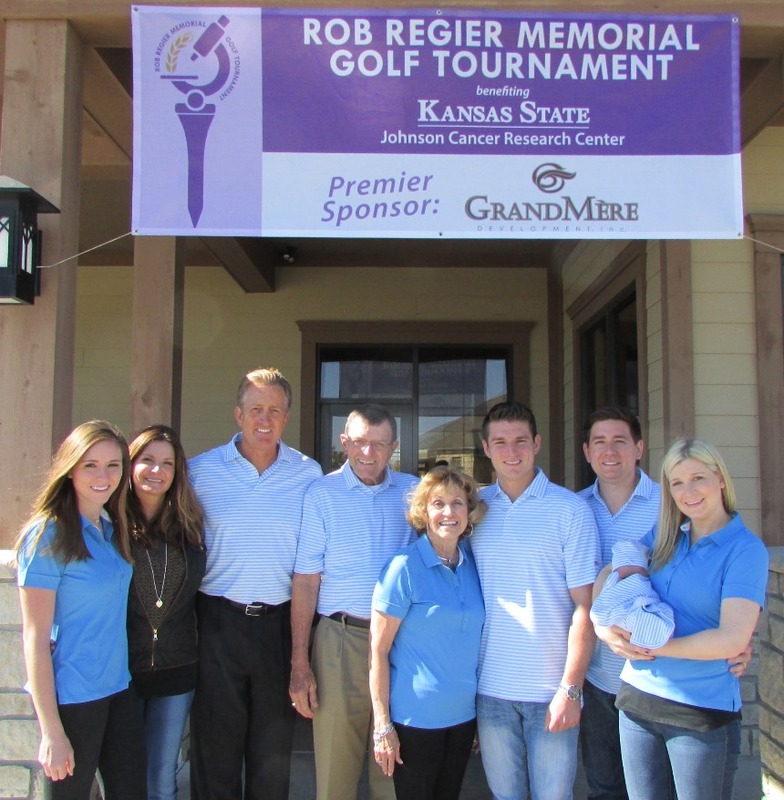 This annual golf tournament honors Rob Regier, a 1988 K-State pre-dentistry alum who died of cancer in 1992, when he was just 26 years old. Hosted by Rob’s family, this 4-person scramble at Colbert Hills, offers prizes and a steak dinner. It was started in 1998 by some of Rob’s Sig Ep fraternity brothers in Kansas City. Rob’s parents Les and Sandy continued it with help from Rob’s twin brother Randy and Randy’s wife Juli. Sadly, Les passed away February 10, 2018, after a long battle with melanoma. The 2018 tournament is dedicated in loving memory of him. Non-golfers are welcome to the banquet to join in celebrating Les’s life. We appreciate all the work the Regiers do, and thank them and the participants and sponsors for their generosity and commitment to K-State cancer research. 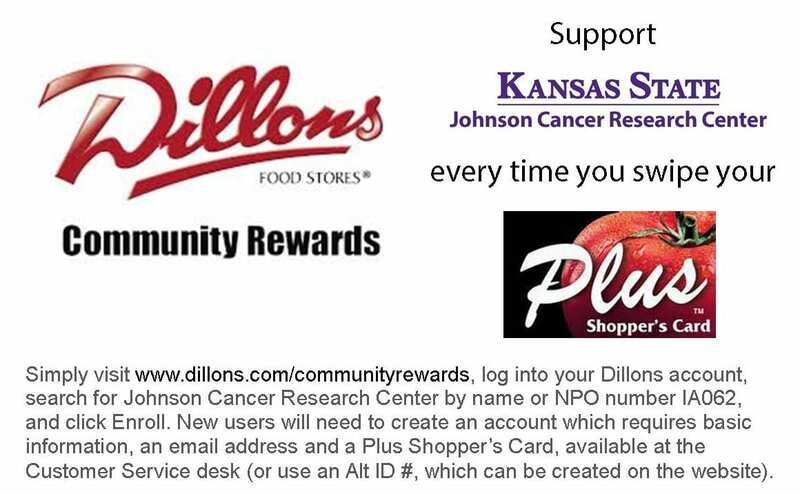 Spend just a few minutes to register on the Dillons Community Rewards page, and Dillons will donate to us a portion of the amount you spend every time you shop there!